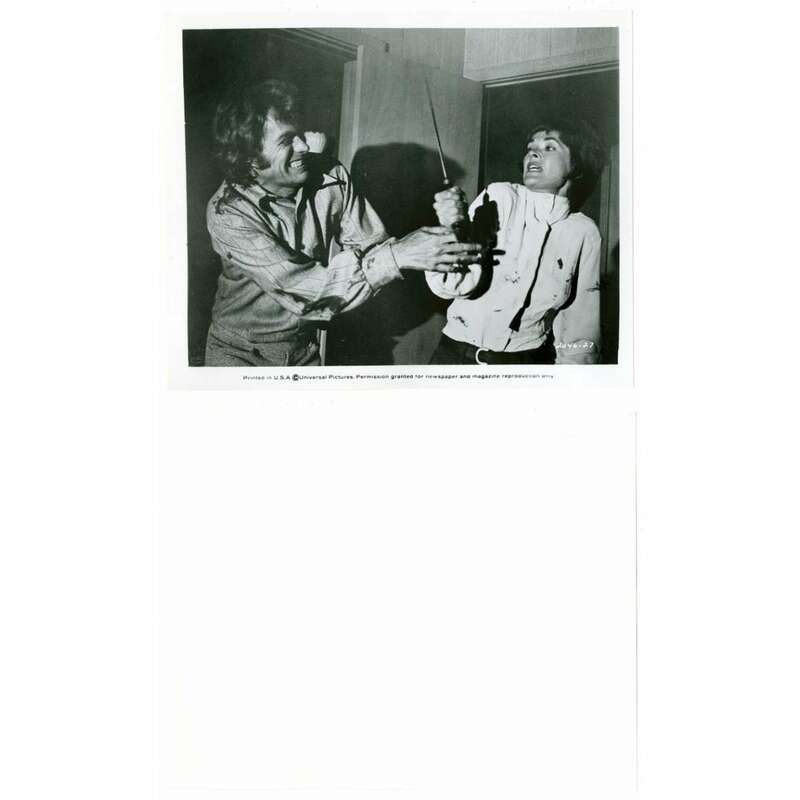 > Lobby Cards and Photos>Movie Stills>PLAY MISTY FOR ME 8x10 still '71 Clint Eastwood fights off crazy Jessica Walter holding knife! 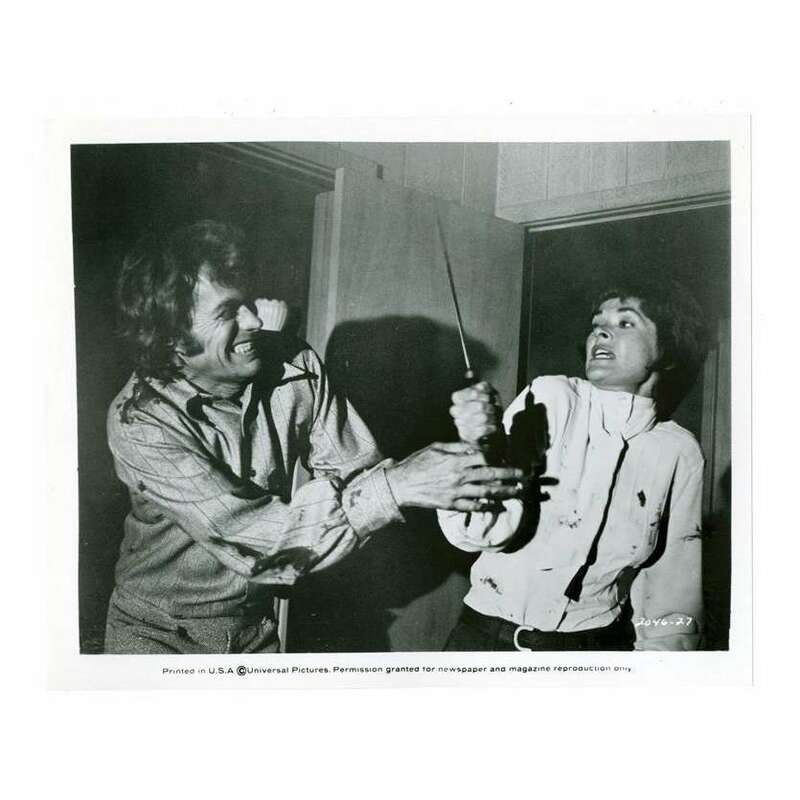 PLAY MISTY FOR ME 8x10 still '71 Clint Eastwood fights off crazy Jessica Walter holding knife! An Original Vintage Theater-Used 8" x 10" Movie Still Condition: Very Good to Excellent (C7) See our 10 GRADE SYSTEM Page for more information. 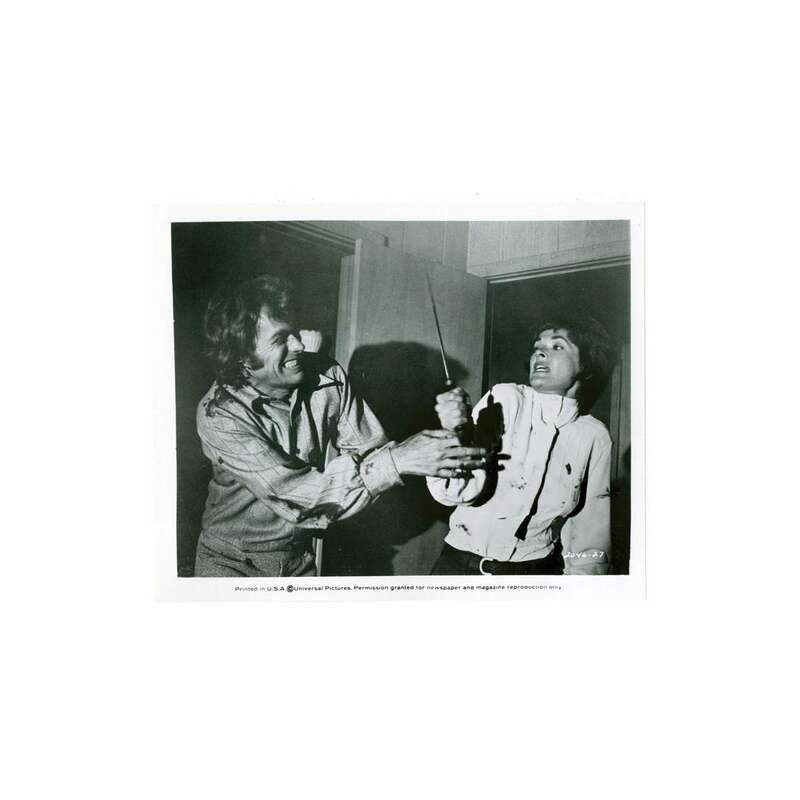 Play Misty for Me is a 1971 American psychological thriller film, directed by Clint Eastwood, starring Clint Eastwood, Jessica Walter, John Larch and Donna Mills.